The episode we have all been waiting for – Podcast Three is finally here. 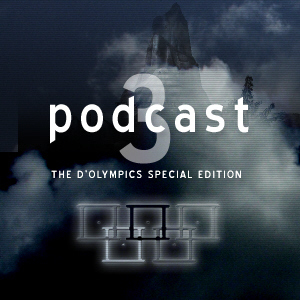 Featuring wonderful highlights from the live TCT commentary at the D’Olympics as well as all the usuals including the next amazing episode of The Journey of the Called (more)! Its been a heavy job for our producer Steve, and when last he was seen he was glued to his chair, to frightened to do another cast! But he would like to thank, in particular, Zam’s huge effort which made much of this episode possible.